Meet new friends at a lovely hotel! 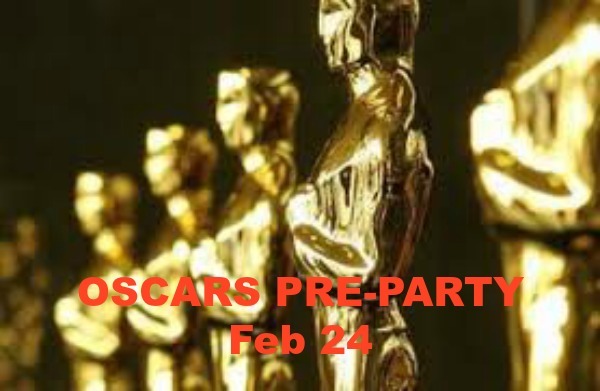 Only $10 at the door includes a FUN Academy Awards Mixer Game, with prizes; accompanied by light appetizers, served at 3pm, as long as they last. Adults of all ages welcome. Dress to impress. Sunday, February 24, 2019, 3-5pm. BONUS: Stay after our party and view the Academy Awards live on TV, beginning at 5pm, with new friends you meet at the party! Dinner available at additional cost. LOCATION: Hyatt Place, 5700 Bay St, Emeryville CA. Not to be confused with Hyatt House down the street. Conveniently located just across the Bay Bridge from San Francisco, at the junction of Hwy 80 and Hwy 880 and near Hwy 24. Free parking.